At Madeline's Tea Salon, the cozy hub of the Avalon community, local residents scrapbook their memories and make new ones. But across town, other Avalonians are struggling to free themselves of the past: Isabel Kidd is fixing up her ramshackle house while sorting through the complications of her late husband's affair. Ava Catalina is mourning the love of her life and helping her young son grow up without his father. 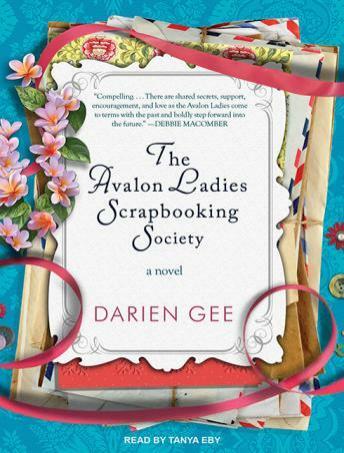 Local plumber Yvonne Tate is smart, beautiful, and new to Avalon, but finds that despite a decade of living life on her own terms, the past has a way of catching up-no matter where she goes. And Frances Latham, mother to a boisterous brood of boys, eagerly anticipates the arrival of a little girl from China-unprepared for the emotional roller coaster of foreign adoption.